Amazon is well on the way to its goal of conquering the modern commercial world. The e-commerce, logistics, media and food titan is now the second biggest company in the world and Morgan Stanley predicts it will overtake Apple by the end of next year to become the globe’s first USD1 trillion company. Australian institutions, particularly the banks, are yet to feel the full force of Jeff Bezos’ global colossus but with Amazon’s arrival in Australia, that is all about to change. 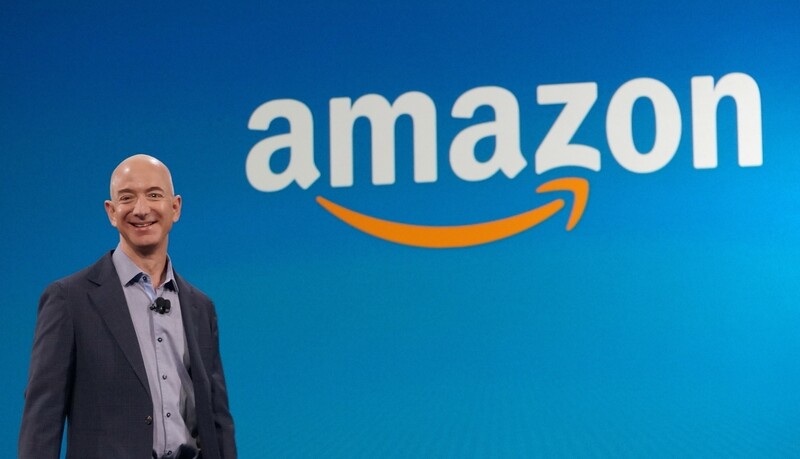 At the core of Jeff Bezos’s leadership philosophy is the primacy of the customer. “Everything we’ve done, all the success we have, is at its root primarily due to the fact that we have put customers first” he says. Amazon customers believe this as reflected in various metrics including its Net Promoter Score (NPS is a globally used and respected measure of the loyalty of an organisation’s customer relationships) of 61. Further, Amazon is the second most admired company in the world, just behind Apple. Our bank leaders also talk about the importance of putting the customer first but the key difference is that bank customers don’t believe the rhetoric. The average Net Promoter Score for the big four banks is -10 with the best (CBA) at -3 and the poorest (Westpac) at -15. And not one of the big four Australian banks appears in BRW/Hays Group top ten admired companies. It says a lot when the Treasurer of an unpopular government can gain easy political points by berating bank CEOs with the put-down that “your customers don’t like you very much”. It seems bank CEOs are even less popular than politicians. Banks seem to be obsessively focussed on each other – witness the recent move by CBA to remove ATM fees which was followed within 24 hours by the other three. “If you’re competitor-focused, you have to wait until there is a competitor doing something. 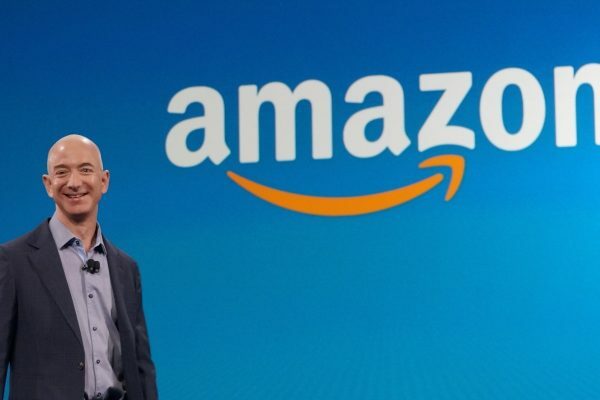 Being customer-focused allows you to be more pioneering” says Bezos. Here are four examples of where the banks wait for competitors or regulators to do something before they act. 1. Loyal existing home loan customers who don’t shop around. According to a recent report by Fairfax Media, this is costing customers nearly $5b a year. 2. Customers who have funds on deposit but don’t get paid any interest. 3. Open data. Customers believe that data about their banking records belongs to them and they want banks to embrace not frustrate open data. 4. Unfair terms in standard form contracts. Banks have taken advantage of their dominant bargaining position to impose unreasonable restrictions on customers who have little bargaining power. Amazon is obsessed with driving growth from new customers, products and markets. Last quarter it had revenue of USD43b and this quarter it is expected to exceed USD55b. The Amazon approach to growing customers is a simple cycle – cut prices to attract customers, which increases sales and attracts more customers, which allows the company to benefit from economies of scale until, ultimately, the company can cut prices again. As an example, as soon as Amazon spent USD13.7b to acquire Whole Foods it cut some prices by around 40 per cent. Whole Foods is now selling a range of Amazon products and services through its 431 stores. Invention is another key plank of Bezos’s philosophy. Amazon uses the internet to get maximum leverage from its fixed assets, and once it achieves enough volume of sales, the sum total of profits from all those sales exceed its fixed cost base, and it turns a profit. Amazon is the ultimate scalable business. Amazon Web Services is the biggest cloud computing company in the world. The internet enables Amazon to quickly and successfully expand around the globe. It is now in 13 countries and employs more than 300,000 people and 45,000 robots to ship 1.6m packages a day. Amazon dominates US online retail sales with a market share of 45 per cent. Given that 90 per cent of US retail sales are still made via bricks and mortar stores, the upside is enormous. Amazon has invested heavily in infrastructure too and now 44 per cent of Americans live within 32 km of an Amazon warehouse or delivery station hence their ability to offer fast delivery times. Half of the households in the US subscribe to Amazon Prime which for USD5.99/month gives them services including steaming, video, music, e-books, free shipping & other deals. Meanwhile our banks are getting smaller. They have retreated from failed off-shore operations and they’re offloading peripheral businesses like wealth management and insurance. A former CEO NAB was fond of remarking “I have never seen an organisation shrink to greatness” but that appears to be exactly what the big four banks are now trying to achieve. Amazon has never been about profits, its all about growth. “If you’re very clear to the outside world that you’re taking a long-term approach, then people can self-select in” he says. Last year Bezos was not Amazon’s highest-paid employee. He received USD1.681m in total compensation of which USD81k was salary. Yet because he still owns 17 per cent, he is now the richest man in the world with a net worth of USD93b. Bill Gates is worth USD89b and Warren Buffett USD74b. That’s a pretty good alignment of interest. Contrast this to ANZ’s former CEO Mike Smith who was paid $88m over 8 years when the share price actually fell during that period and his major strategy of expanding into Asia was immediately undone by his successor. Australian bank bosses are paid huge sums regardless of shareholder return and their focus is excessively skewed to the short term. None have ever stood up to the markets like Bezos has and remember Bezos has talked like this from the onset. AMAZON HAS THE BANKS’ ATTENTION & WITH GOOD REASON! It’s only a matter of time before Amazon takes on Australia’s banks. Any market structure in which a small number of firms has the large majority of market share is at risk of being disrupted. The four big banks are a similar size, they are cumbersome and are weighed down by antiquated ways of doing business. Despite or perhaps because they have shared the spoils of the banking market for over 25 years, their offerings are indistinguishable. But Amazon wont tackle the banks head on, it will take them on where they are most vulnerable and where it can leverage its strengths including customer relationships, technology and data. We only have to look at Amazon’s US banking activities to see where this is likely to be. It has a small-business lending arm that has already lent more than USD3b to more than 20,000 of the merchants on its e-commerce platform. And it has a Visa credit card which rewards customers with benefits including 2 per cent discounts at restaurants, gas stations and drugstores. Meanwhile, Australian banks are winding back rewards from credit cards. The banks are friendless. The Government’s popularity continues to decline and a banking inquiry or a Royal Commission now seems inevitable. No-one is going in to bat for the banks and repeated advertising campaigns are unlikely to shift public opinion. It is worth noting the pronouncement by Keith Noreika, Acting Comptroller of the Currency (the agency that oversees US national banks) that “if a commercial company can deliver banking services better than existing banks, we hurt consumers by making it hard for them to do so. For the politicians and bureaucrats it is sinking in that the quickest and easiest way to increase competition in banking is not to try to get the banks to change but rather to make it easier for new entrants. And the big players like Amazon have a head start over the fintech start-ups because they have deep pockets, customers and data. The Amazon lesson is that in this new age, customers are ultimately the ones who will make or break any business. If the overseas experience is anything to go by, Australian consumers will embrace Amazon and Australian businesses also have the opportunity to grow as Amazon grows. But Amazon itself faces several risks including its reliance on Bezos. There is also the risk of competition from other goliaths like Alibaba, Apple, Alphabet, Microsoft and Facebook as well as the prospect of an entirely new player disrupting the disruptors. If Amazon does end up conquering the modern commercial world, would that be a good thing? At what stage might the regulators form the view that Amazon has gained too much power? Will it be too late then to unwind this behemoth? The banks know what they are up against and are already responding. They still have customers, strong balance sheets and track records and they employ lots of very smart people but they are going to have to move more adroitly than they have done in the past. We can expect the banks to push for the unwinding of the Four Pillars Policy to enable them to merge thereby reducing costs to better compete with the likes of Amazon. One thing is for sure Jeff Bezos and Amazon have shown us all just how quickly the world of commerce is changing and the banking market is no exception. Hi Neil, very interesting post. You say that Amazon offers merchant loans and credit cards. Do you know whether they also offer accounts where a merchant could use its income to pay for Amazon services without the money ever leaving Amazon?